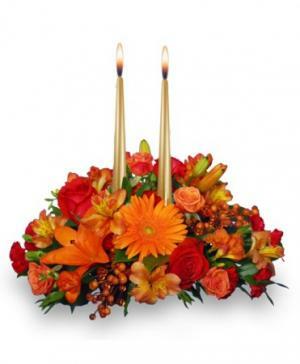 This luminous centerpiece is sure to brighten up your celebrations this holiday season! 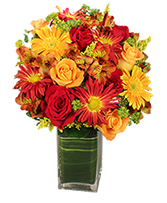 Beautiful and bright blooms such as roses, daisies, spray roses, and lilies. 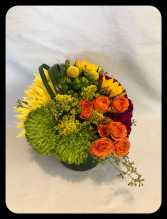 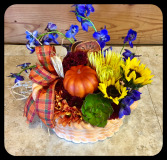 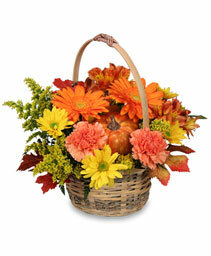 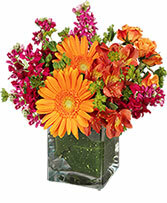 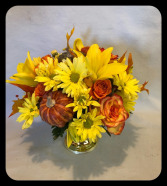 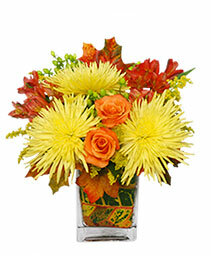 Approximately 11"H x 11"W *Flowers and colors may vary due to availability.